Currently Out Of Stock awaiting more OLED displays. These come from Aliex so they'll take a little while to arrive. Expecting mid-to-late February. 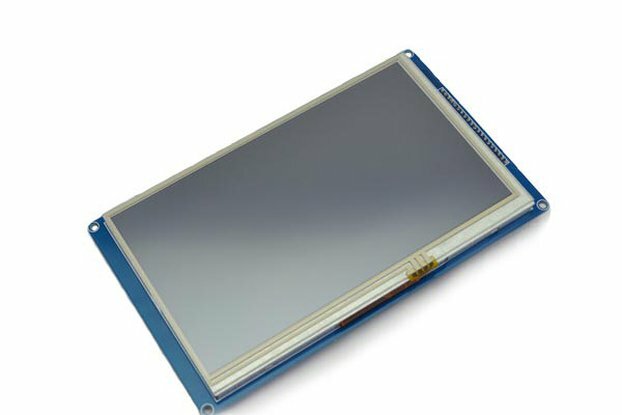 This handy module combines an OLED display and a rotary encoder in a convenient layout for using as a control panel on the front of a project enclosure. 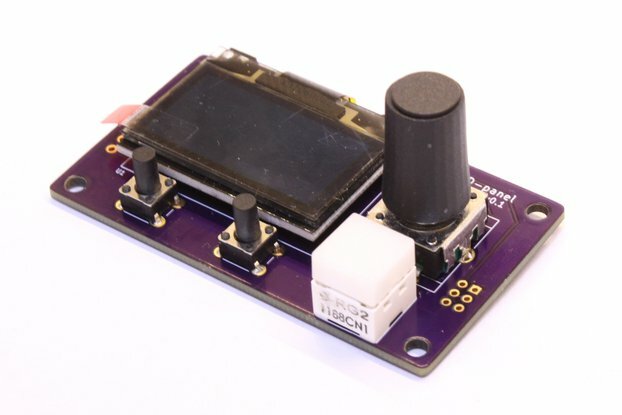 The 128x64 pixel display allows the project to display information to the user, and accept commands and control by means of several buttons. A rotary encoder sits to the side, allowing values to be adjusted or selections to be made. On the back is a piezo sounder capable of emitting beeping tones. Both display and input control chips are accessed via I²C, requiring just four wires in total (power, ground, SDA, SCL) to connect to the main logic board of the project with the MCU. The OLED is an SSD1306 module whose address is 0x3C. The rotary encoder and piezo sounder are accessed via a control chip whose address is 0x3D. The INT signal from the control chip is provided as well, so that the MCU can read button or wheel events by interrupt. This brings the wire count up to five, but removes the need for the host MCU to poll the chip regularly for events. As the INT line is open-drain, it can be shared with other peripherals to reduce pin count on the host MCU. A final sixth signal is RESET. Leave this unconnected for normal operation, or apply a short low pulse to reset the controller and the OLED display. This signal is also used for control chip firmware upload, if required. 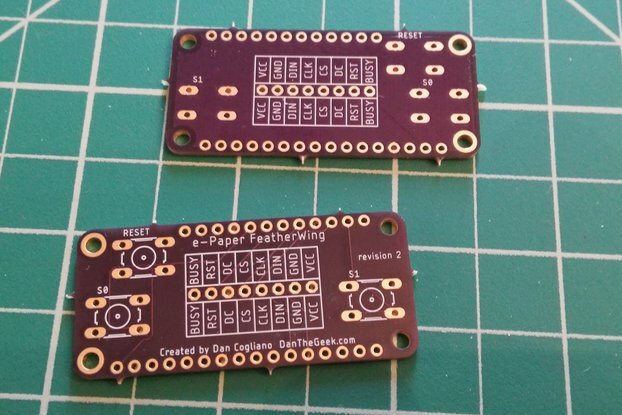 Additionally, the control chip makes four GPIO lines available on a second header, along with power and ground connections, in case of attaching other buttons or indicators. These can be arbitrarily set as inputs or outputs, offering extra digital IO with change detection. 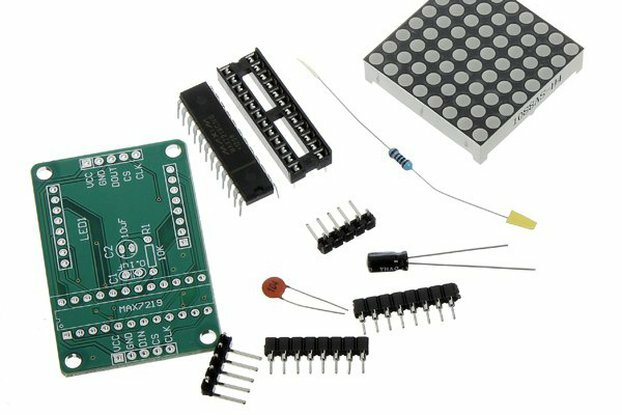 For full details of operation of the I²C slave chip controlling the rotary encoder, piezo sounder and GPIO lines, see the "Data Sheet" link below. 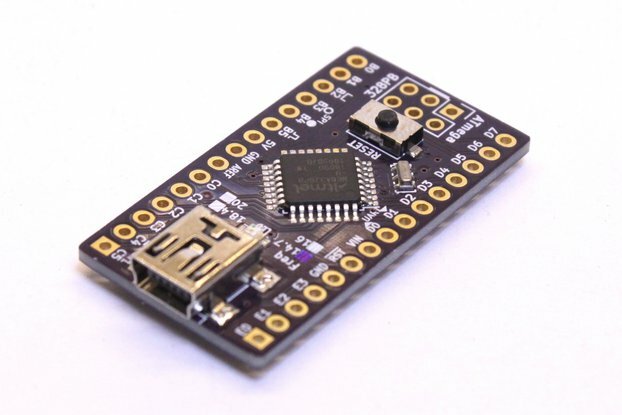 The control chip is an MCU pre-programmed with driver firmware. Please use the "Contact Me" button for feature requests, bug reports, clarifications, or other communications about this. This is a smaller version of the OLED-1106 Front Panel Module, whose reduced height allows it to fit inside the smaller Hammond 1455P case. There are a number of OLED breakout boards available, but few of them manage to combine buttons and display in the same place. 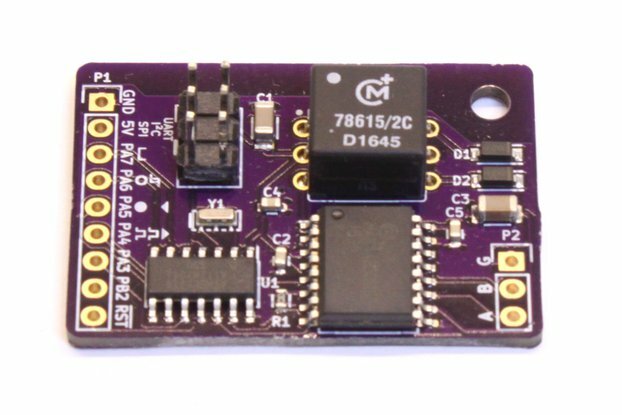 Additionally, the controller chip on this board offloads the slightly tricky task of reading the quadrature encoding of a rotary encoder, emitting a simple stream of events for the host MCU to use directly. OLED Front Panel Module Larger version of this board having in addition a lower row of two buttons below the screen and including one dual-LED illuminated button. OLED-1106 Front Panel Module Older version of full-size board having the same the shape, but lacking the piezo sounder and autonomous control chip.